Yesterday was busy. After church school, worship, errands, and a few hours in the garden, I was tired, hungry and wanted something fresh and light tasting with substance to hold me. The recipe on the inside of the Taylor Farms Organic Kale Medley caught my eye and with a few modifications, I whipped together the above plate of delicious nutrition. 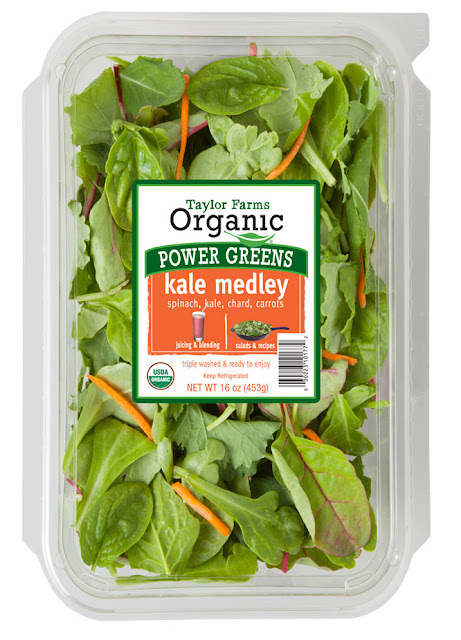 Before I get to the recipe, a bit about the Kale Medley from Taylor Farms. I pick up a tub a few times a month. 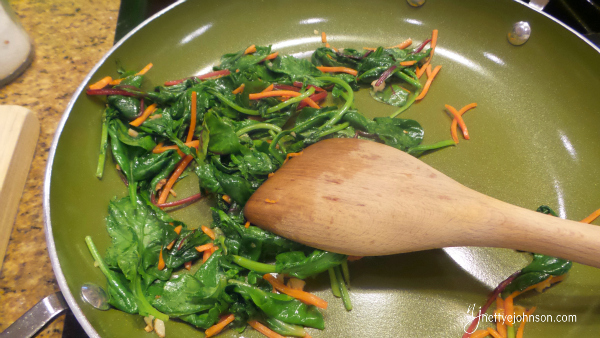 The mix contains spinach, kale, chard and slivers of carrot. It is organic, tremendously versatile, always fresh and about $4 at SAMs Club. I highly recommended this staple. 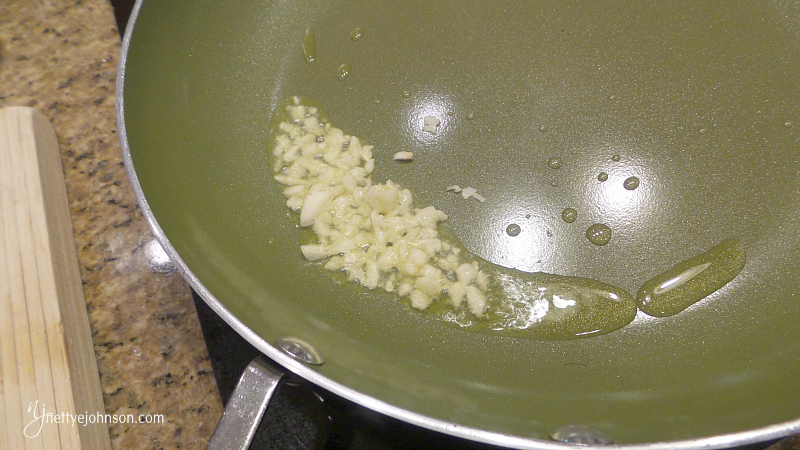 In a non-stick skillet over medium heat, slowly heat one clove of minced garlic to infuse the oil with garlic. Be careful not to brown or burn the garlic. 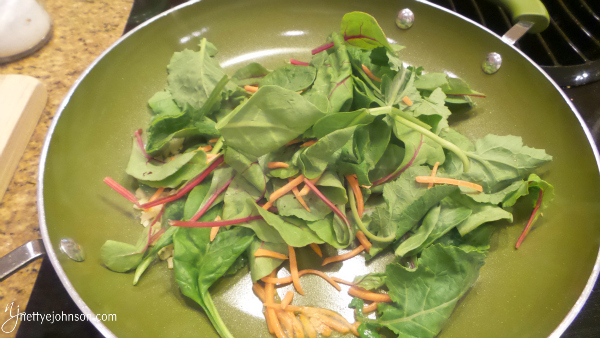 Add handfuls of the greens mix and stir. When wilted, add more until the all is soft and brightly colored. 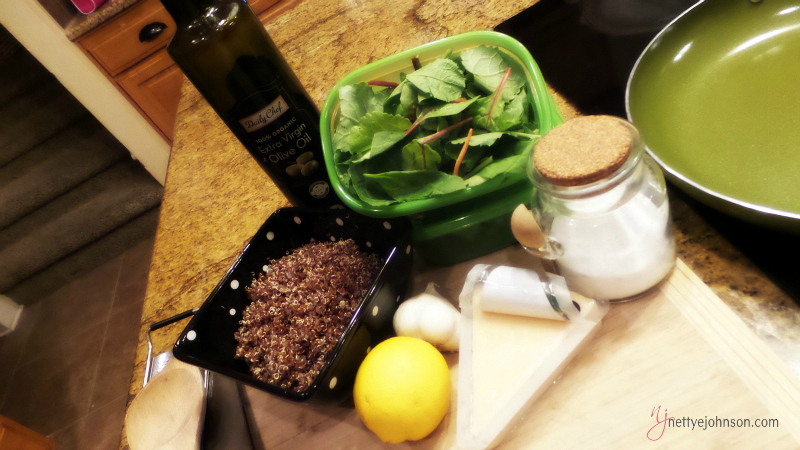 To lift and brighten the earthy flavor of the greens, add 1-2 tablespoons of freshly squeezed lemon juice. Taste for salt and add if needed. 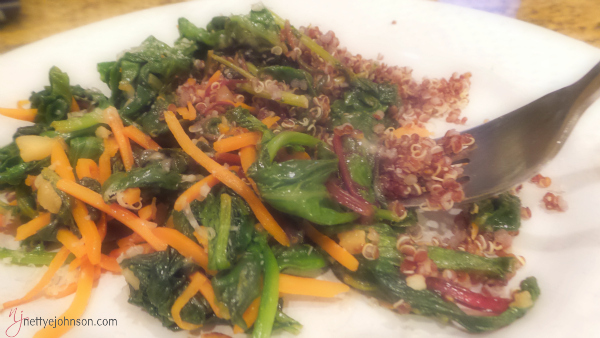 Plate on top of a bed of cooked quinoa. 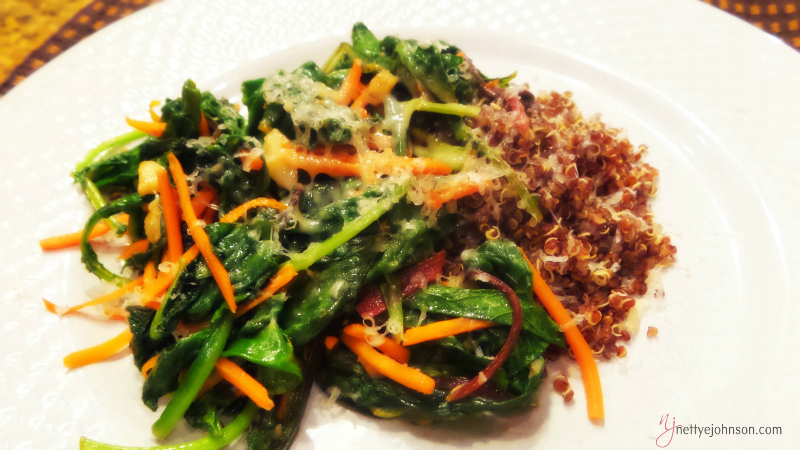 Top with a light grating of parmesan. This dish gives you a few servings of vegetables with a serious dose of Vitamin A, Vitamin C, Vitamin K, Folate and Magnesium. The protein in the quinoa and fat from the olive oil and touch of cheese make this quick saute a beautiful, balanced meal. What are some of your quick and easy meals? I hope you found this post helpful. If so, be sure to share with a friend! If on a desktop or laptop, simply use the sharing buttons below. If on a mobile device, copy and paste the URL on your social networks.